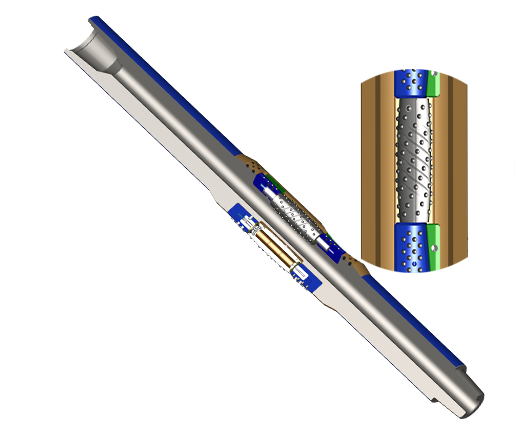 The Spin-Drift family of premium quality Roller Reamers offer a low torque solution to borehole gauge maintenance, overall BHA stability and better wellbore quality. By lowering torque and drag, stick slip and BHA vibration, drilling efficiencies can be greatly improved with less NPT and greater MTB, resulting a significantly lower cost per foot drilling. Improved weight transfer and lower vibration results in both higher ROP’s and extended life of the bit, motor and MLWD tools. With a rolling element cutting action there is less wear on the tool, lower damage to the hole wall formation and less torque as compared to traditional fixed blade reamers and stabilizers.